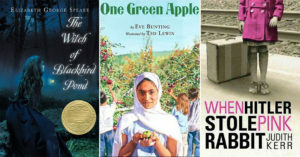 A Mighty Girl's top picks of the best new biographies for children and teens about incredible women from around the world. When Women's History Month rolls around, it can be amazing to discover just how many women of note you've never heard of before. In fact, adults in our community often comment on our posts wondering why they hadn't heard of a particular woman before. Scientists, artists, explorers, and more — too often these names and accomplishments are new to all of us. Fortunately, for the next generation, these inspiring women could be household names! From beautiful picture books to intriguing middle-grade and young adult biographies, there are more high quality stories of women who made their mark on the world than ever before. And the more of these books we put in their hands, the more today's kids — both girls and boys — will seek to learn more about the contributions of women in history. 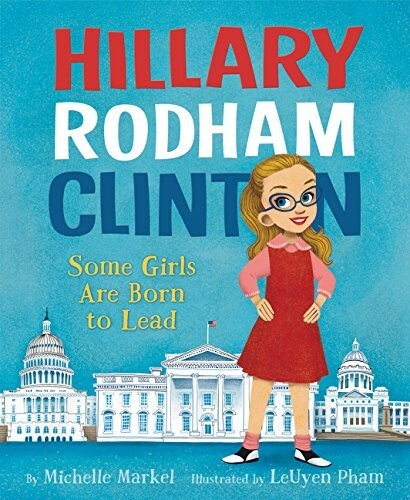 With that in mind, this blog post showcases dozens of inspiring new Mighty Girl biographies for you to share with the children and teens in your life. All 2015 and 2016 releases, these books capture the fascinating lives and impressive accomplishments of women who made their marks on the world. And who knows? Someday, one of the Mighty Girls reading them might just be the subject of her own biography! To discover more books for young readers about trailblazing girls and women, you can find over 500 titles in our Role Models Biography Collection. Long ago, a girl lived on an island filled with music... but everyone in Cuba knew that girls could not be drummers. And yet the girl heart drumbeats wherever she went, until finally she couldn't help herself and began to practice in secret. And when the Drum Dream Girl finally dared to play her music for everyone, they danced, sang — and agreed that music was for everyone, boys and girls. 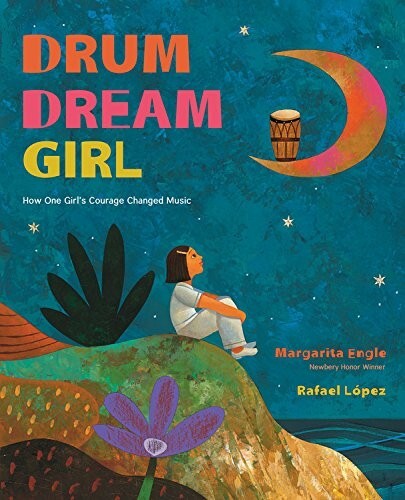 This story, inspired by the childhood of Chinese-African-Cuban drummer Millo Castro Zaldarriaga, will delight and inspire any child whose heart holds a dream. 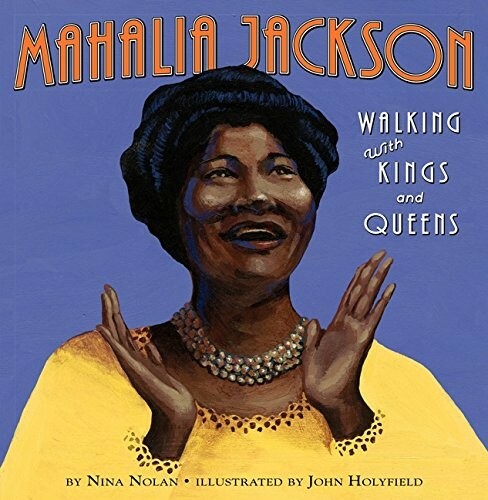 Even as a young girl, Mahalia Jackson loved singing gospel music: no matter how difficult her life was, gospel made her heart feel light. And as she got older, she realized that her voice also had the power to bring joy to everyone around her and she wanted to share it with the world. Eventually, Jackson's determination took her all the way to Washington, where her voice helped inspire Martin Luther King Jr. and everyone else during the famous March on Washington for Jobs and Freedom. Full of rich, colorful illustrations, this poignant, inspiring story will fascinate kids. Lucille Ball could famously make any situation funny and her comedic genius made the world laugh. But she was also a trailblazer in other ways — her business acumen allowed her to break new ground as the first woman to run a television studio. This picture book biography, part of the Ordinary People Change The World series, will show your kids that anything — even a great sense of humor — can be the jumping off point for a career that changes the world. Fans of the series should also check out I Am Helen Keller and this box set containing the first four volumes: Abraham Lincoln, Amelia Earhart, Rosa Parks, and Albert Einstein. Growing up in the 1950s, Clinton lived in a world where women weren't supposed to be smart, ambitious, or outspoken — and she didn't care one bit! From a childhood standing up for her fellow students to balancing her career and motherhood to her current political career, Clinton refused to be anyone other than herself. 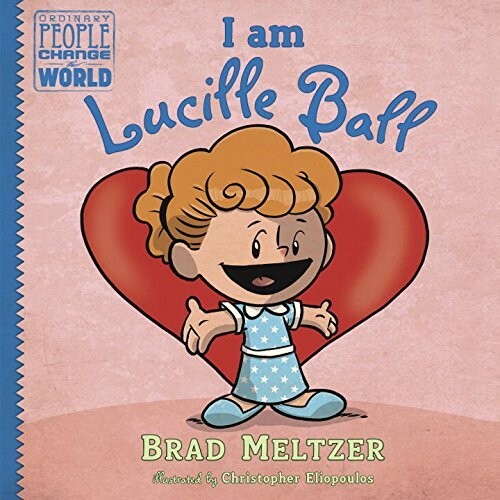 This picture book biography focuses on an inspirational tone: a reminder to girls not to let others tell them what they could grow up to be. In Amsterdam, next to a building that is now a museum, there stands a tall tree — a tree that was witness to one of the remarkable stories of World War II. The building is the Secret Annex, and within it, with little to see but the tree's branches, Anne Frank, her family, and her friends hid from Nazi soldiers. 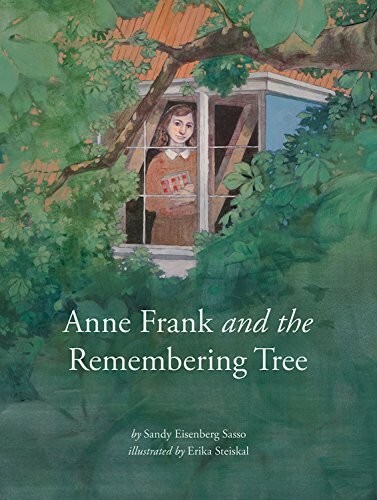 Through the unique perspective of this tree, author Sandy Sasso tells the story of Frank's life, death, and legacy — and communicates a powerful message about the importance of empathy and compassion. Thanks to her mathematically talented mother, Anne Isabella Byron, young Ada had the opportunity to develop her remarkable intelligence. Even when a bout with measles left her temporarily blind, her mother would keep Ada occupied by quizzing her with math problems that she would calculate in her head. Years later, when she met Charles Babbage, the inventor of the first mechanical computer, he named her the Enchantress of Numbers for her astounding mathematical skills. Little did either of them know that, when she designed an algorithm for Babbage’s Analytical Engine, she would be making history — by writing the world’s first computer program! 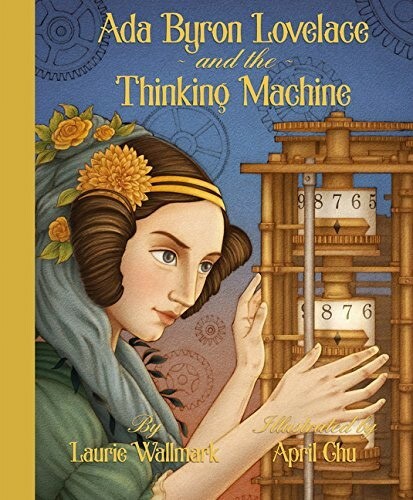 With vivid artwork and intriguing anecdotes about Lovelace's genius, this picture book biography pays homage to a little-known but deeply influential figure in computing history. In Gambia, when people used woven baskets, they would toss them out when the broke, and the baskets would break down. But when they did the same thing with plastic bags, the bags never went away. In addition to the mess, they resulted in mosquito-borne diseases and the deaths of livestock. It was Isatou Ceesay's innovative idea to recycle the bags by crocheting them into purses, and soon, the streets were clean again. 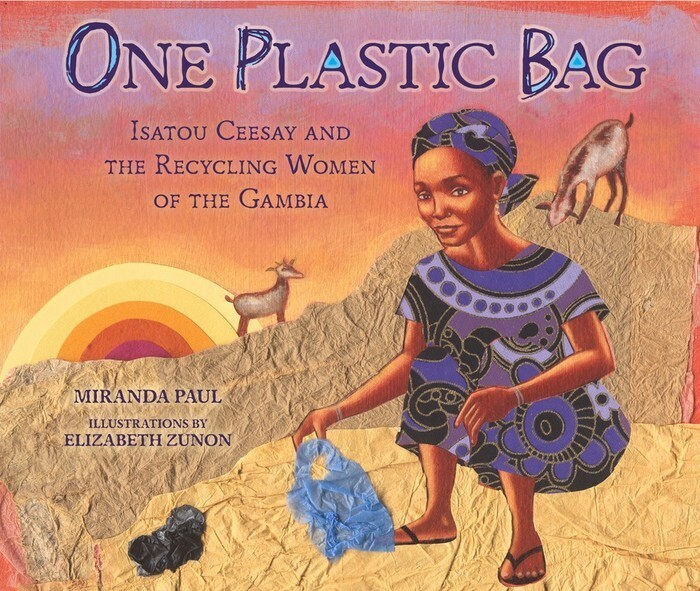 This real-life story of a clever woman's solution to both an ecological challenge and a way to find employment for local women is sure to inspire young readers. Marie Tharp's father was a mapmaker, but by the the time she was grown, there wasn't much left to map... or was there? In fact, people knew almost nothing about the ocean floor, and Tharp decided that she would be the first to map the mysterious depths of the Atlantic. 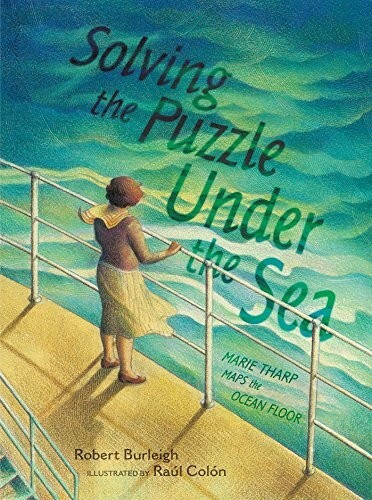 Although she faced many challenges — including being turned away from research ships because it was "bad luck" to have a woman on board — Tharp took bits and pieces of data from many sources to assemble the first map of the ocean floor. Along the way, she discovered the Mid-Atlantic Ridge — evidence that helped prove the theory of plate tectonics and changed our understanding of the whole planet. This fascinating story, beautifully illustrated by Raul Colon, is sure to inspire children to seek out even more of the world's mysteries. 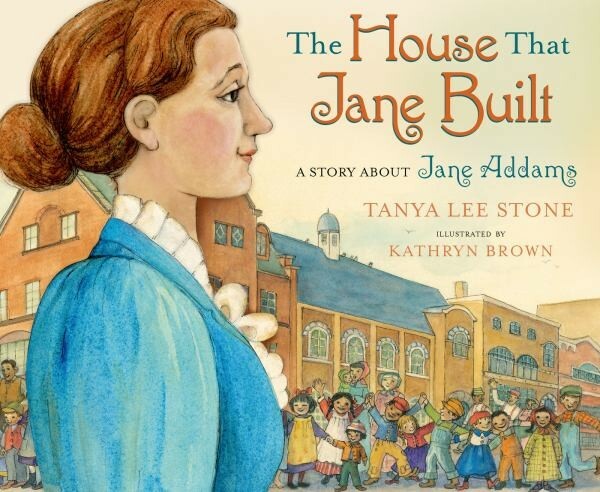 Jane Addams wanted to find a way to change the world, but she didn't know what that would be until she saw Toynbee Hall in London, a settlement house dedicated to social reform and working towards a future without poverty. Inspired, she returned to America and bought a run-down house in a Chicago neighborhood that became Hull House, a community center where newly arrived immigrants could find medical care, English lessons, athletic classes, and more. Her house transformed the neighborhood and, through her anti-war activism, Addams' helped transform the world — so much so that she became the second woman in history to be honored with a Nobel Peace Prize. When Mary Garber started writing, women didn't work for newspapers — especially not to report on sports. But Garber didn't care, not even when she had to sit with the coaches' wives because she wasn't allowed in the journalists' box. In fact, the pioneering sports reporter took an even more daring step and started reporting on African American sports at a time when they weren't routinely covered. She became famous among her community for not letting prejudices affect her reporting: "if you do something good, she’ll write about you." Garber went on to have a 35 year career, writing her last article in 2002. 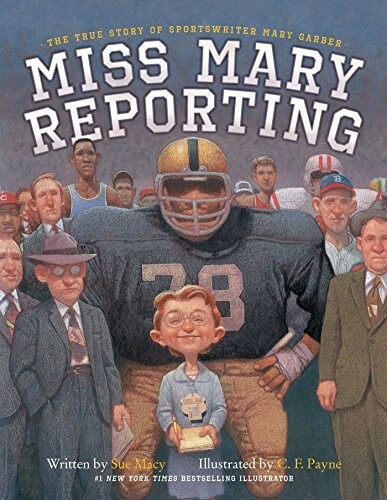 In this picture book biography, this determined and dignified woman truly comes to life; it's sure to inspire would-be journalists, athletes, and dreamers. When Kathy Sullivan was growing up, she hated the question "What do you want to be when you grow up?" — because no matter what she said, people told her the job wasn't for girls. As far as she was concerned, men had all the exciting jobs... and she was going to have an exciting job too. So when she was a teenager, she learned to fly a plane and in 1978 she became one of the first women to be selected by NASA. And when she finally got to space in 1984, she made her mark as the first American woman to perform extravehicular activity — a spacewalk. 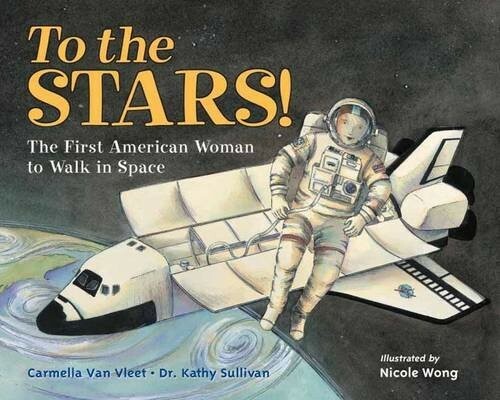 This fun and inspiring story ends with detailed background info, including a note from Sullivan and capsule biographies of other American women space pioneers. It's perfect for budding astronauts — or for anyone who refuses to believe something "isn't for girls." 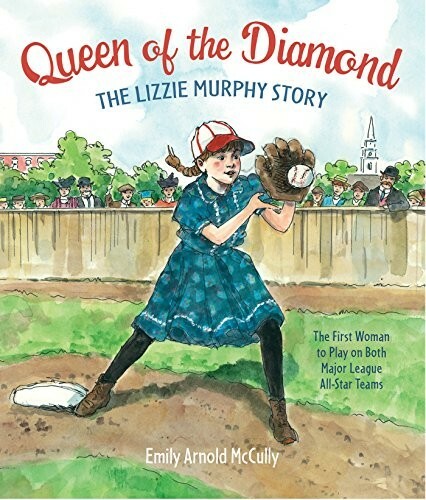 Lizzie Murphy was phenomenal at baseball, better than any of the boys — but in the early 1900s, baseball wasn't a game for girls. Lizzie didn't care; she practiced with her brother, talked her way onto the boys' team, and impressed everyone with her hard catches and fast pitches. So when she turned eighteen, Lizzie dared to take an even bigger step: she tried out for a professional team. Perhaps women could play baseball after all! This story of the first woman to play in a major-league exhibition game is sure to delight baseball fans. Years ago in Rhodesia, a child dreamed of an education that was off limits to girls like her. So while she taught herself to read and count, she reconciled herself to a life as a wife and mother only. 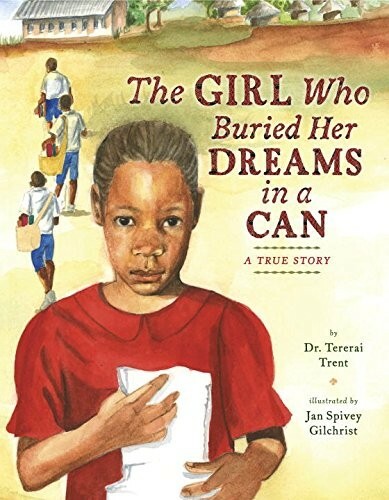 But when she married, she followed a community tradition: she wrote her dreams down and buried them in an old can as a reminder never to give up. Years later, Dr. Tererai Trent would indeed get university degrees in America — and return to educate the children at her home. This inspiring true story of perseverance despite years of obstacles is sure to inspire. In 1856, the Pinkerton Detective Agency was renowned for its daring work, but there were some places the male detectives couldn't go. So when Kate Warne asked Allan Pinkerton for a job, she told him how she could find information that no one else could: in disguise as a society lady, she could overhear things or ask questions and funnel the information back to the agency. 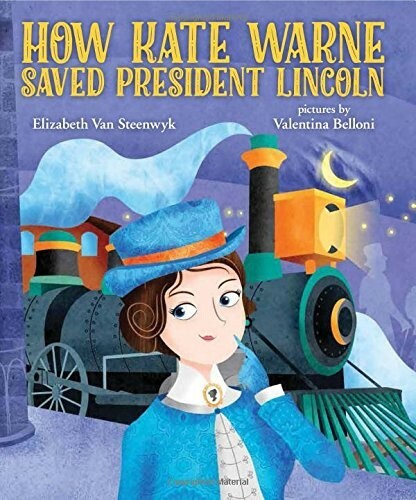 And when a threat against the newly-elected President Lincoln came in, Warne saw the solution: she escorted the President on the train from Philadelphia to Baltimore, then helped him slip unannounced into Washington, D.C. This intriguing look at the famous female detective is sure to delight young readers. As a child growing up in Russia, Anna Pavlova was captivated by the ballet dancers her mother took her to see one winter’s night. But a child like her — not only poor, but also small, thin, and frail — surely couldn’t be a ballerina. Pavlova’s determination and love of dance changed the ballet world forever, and to her dying day, she lived and breathed the graceful, exquisite Swan. 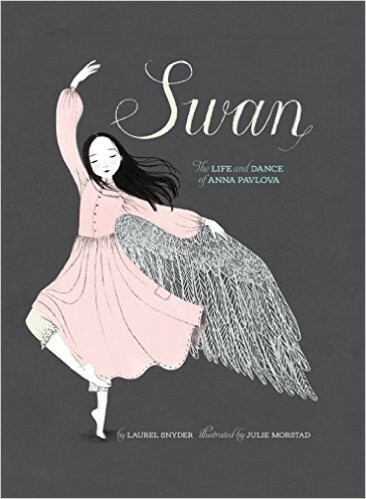 This astounding picture book biography of the woman who was determined to share the art of dance with the world will delight young readers, in particular, lovers of dance. Mary Nohl always had one passion — she wanted to make art, out of anything she could find! 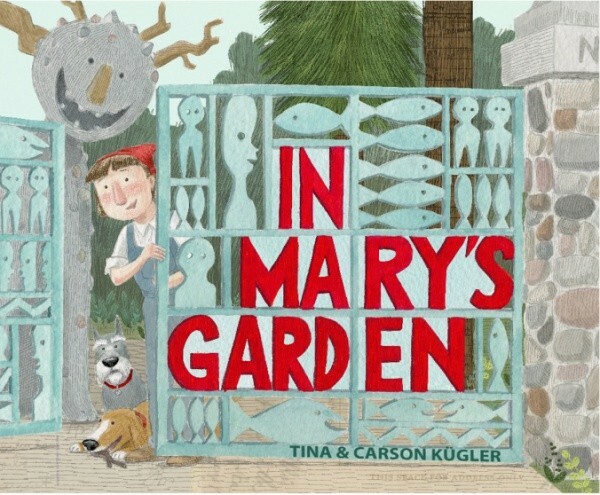 Whenever something caught her attention, she turned it into something she thought was beautiful and put it in her garden — so eventually, her garden was an art gallery! Not everyone appreciated Mary's art — several neighbors complained her strange sculptures — but she knew that the most important thing was creating something she thought was beautiful. 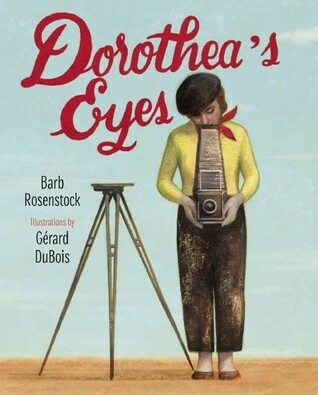 This picture book biography captures the whimsy and unique perspective of this real-life groundbreaking artist. In 1909, a doctor opened a home for African American orphans called Piney Woods Country Life School. There, they would find friends, education — and music! The most hard-working young musicians were the school's all-girl swing band. When the girls were too old for the school, they decided to move to Washington, D.C., to try to make it in the world of music. It wasn't easy in an era before integrated music groups, but eventually they became the International Sweethearts of Rhythm and a total sensation! 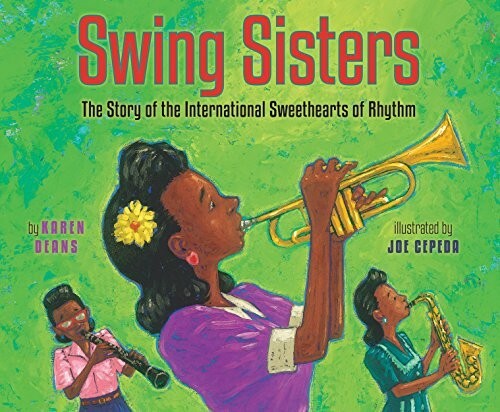 This inspiring story of a pioneering band is sure to intrigue music-loving children. Like many children of her day, Dorothea Lange's life was changed forever when polio left her with permanent effects: her limp made her want to disappear. Instead of interacting, she learned to watch people, observing details that many people didn't notice. One day, she realized that — armed with a camera — that same eye for detail could reveal incredible things. Despite her family's disapproval, Lange set out on her own and became famous for her poignant images of Depression-era families. This poetic book not only tells the facts of Lange's life story, but it also chronicles her emotional journey and her role as one of the first documentary photographers. A gallery of Lange's photographs help kids see the remarkable way that Lange's eyes saw the world. It sounds like a familiar story at first: an African American girl is told she can't return to school, because it's for whites only, and her family challenges the city with a court case. 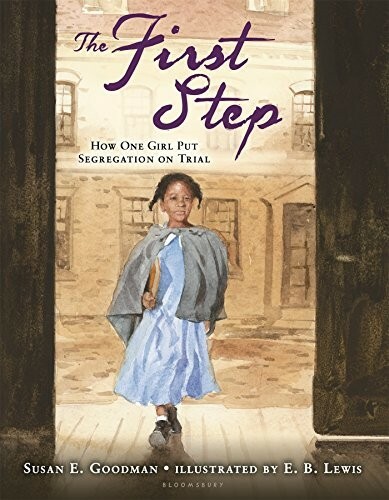 But the girl was Sarah Roberts, and the year was 1847 — over a hundred years before the famous battles faced by Ruby Bridges and the Little Rock Nine. Roberts v. the City of Boston was the first court case challenging segregated schools, and it marked the first time that an African American lawyer argued in a supreme court, the first steps towards legal equality in the United States. 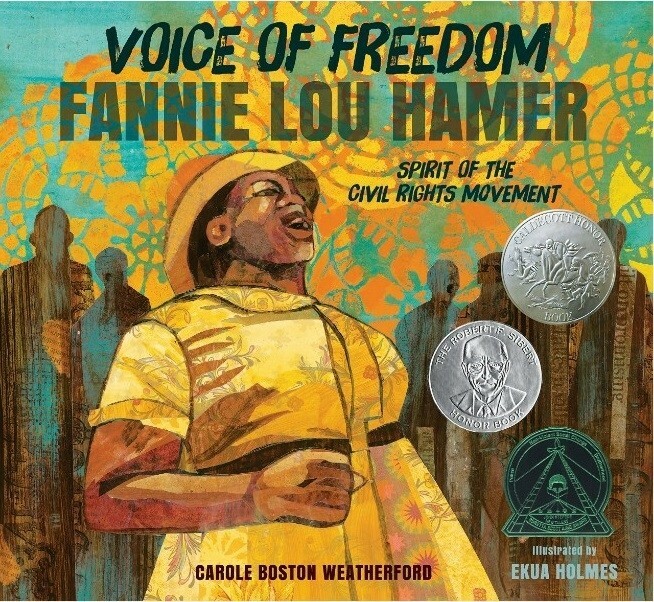 With dramatic text from Susan E. Goodman and amazing artwork from E. B. Lewis, this book is a must have for any collection about the battle for equal rights. When Elizabeth Cady Stanton started pushing for women's rights, most people thought she was nothing but trouble — how could she think that women, who couldn't go to college or own property, should have the right to vote? But thanks to Stanton, and generations of women working together, women's suffrage is now a reality! This unique book acts as a timeline of key events in the suffrage movement, from the first women's rights convention at Seneca Falls to the ratification of the 19th Amendment. 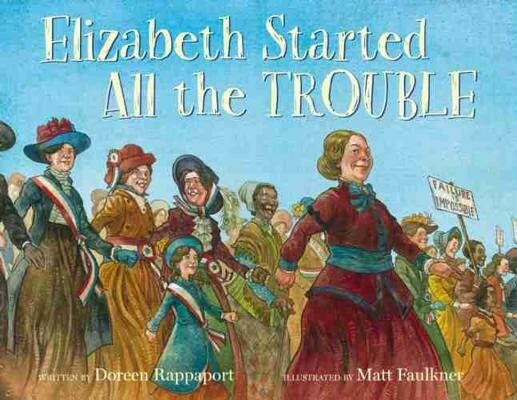 Doreen Rappaport captures the tremendous dedication and sacrifices of the suffragists, from protests to trials to jail sentences, as they fought for the rights that we enjoy today. Former slave Isabella Baumfree transformed herself into the orator Sojourner Truth, speaking out for equal rights on behalf of both the abolitionists and the women's rights movement. 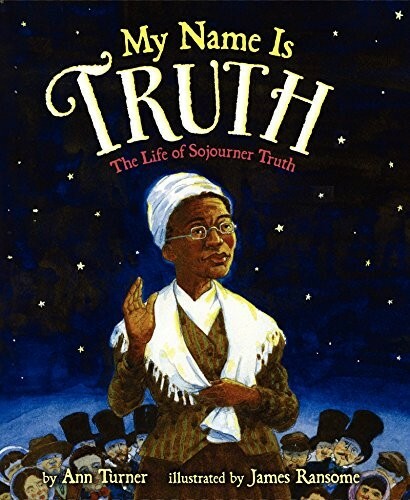 This beautifully illustrated picture book biography is written in the voice of Truth herself, like a monologue in dialect, giving young readers a sense of the power of the spoken word to influence people. This moving and passionate story is a fitting tribute to a dedicated and inspirational figure from American history. Nobel Prize winner Wangari Maathai saw many problems with her beloved home country of Kenya, including the need for equality for women and for protection of the environment. So she found a way to combine both with her Green Belt Movement, which taught women how to engage in sustainable growing practices, while also pushing for democracy to ensure that the peoples' needs were considered by government. 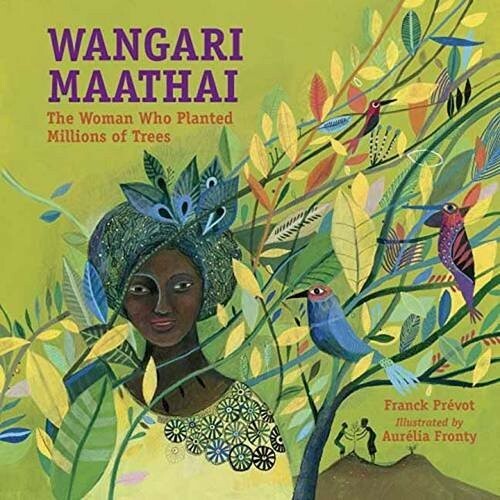 Unlike many biographies of this remarkable women, this exquisitely illustrated book not only talks about Maathai's legacy of lush trees, but also about the political and social upheavals that influenced her. Sonia Sotomayor went from growing up in the projects to making history as the first Latino justice on the US Supreme Court — and along the way, she broke a lot of "rules" about what women like her were supposed to do! 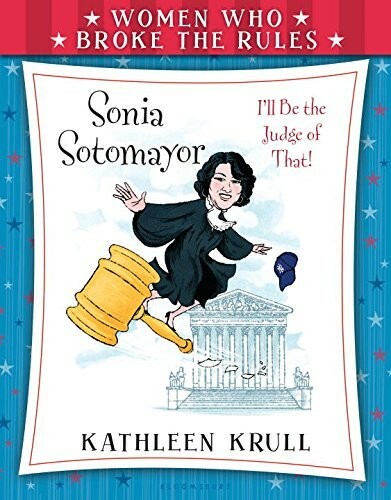 In this entry from the new Women Who Broke The Rules series, kids will learn about how Sotomayor's hard work and determination helped her achieve a dream that few would have thought possible. For more volumes from this new series, including ones about Sacagawea, Coretta Scott King, Dolley Madison, Mary Todd Lincoln, and Judy Blume, visit our Women Who Broke The Rules Collection. If Harriet Tubman and Susan B. Anthony sat down for a cup of tea together, what would they say? One thing is for sure: hearing their stories in their own voices would be a remarkable experience! In this well-researched work of historical fiction, Grimes provides and accessible introduction to two amazing women of American history. 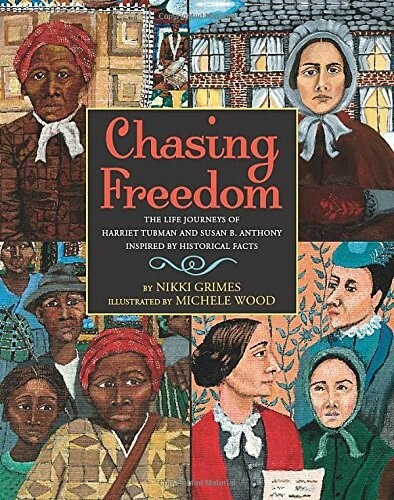 Additional back matter provides resources to help curious young readers learn more about the Underground Railroad, the Civil War, and the suffrage movement. In Poland's Warsaw Ghetto during WWII, a young nurse and social worker went about her daily work, caring for the sick — and smuggling Jewish children out to safety. Irena Sendler knew what she was risking, but she couldn't bear to watch children suffer and do nothing. And after every child was safe, she meticulously recorded their name in hopes that, someday, they could be reunited with their families. 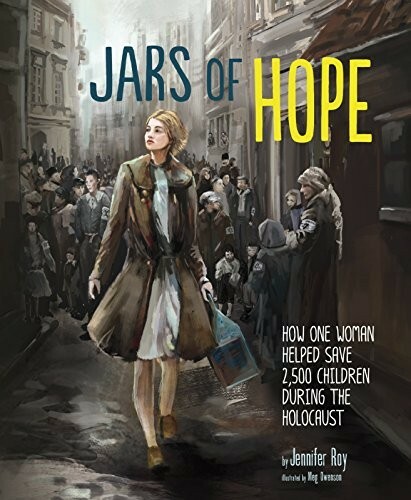 This gripping story of a real-life World War II hero who helped to save 2,500 children from near certain death is sure to inspire young readers. Before they were best-selling authors, Truman Capote and Harper Lee were friends growing up in 1903s Alabama. 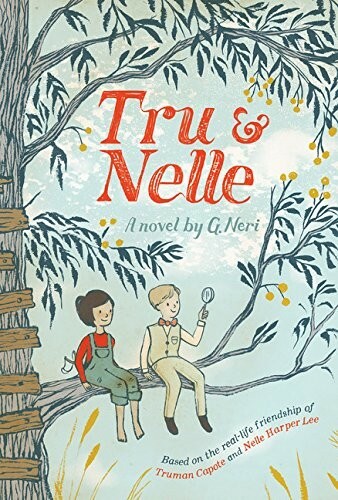 In this fictionalized account of their childhoods, 7-year-old Tru and 6-year-old Nelle love playing pirates and detectives together, but when they set their sights on solving a drugstore theft, things start to get out of hand. However, with the help of some (sometimes reluctant) friends and a spirit of adventure and curiosity, there's no telling what they'll accomplish! G. Neri celebrates this "perfect pair of misfits" in his novel, and provides a unique insight into the authors they would become — and into the environment and time period that would inspire Lee to write To Kill A Mockingbird. Malala Yousafzai grew up in a country where girls were supposed to be quiet, but with the support of her family, she not only found her voice, she began speaking for other girls who were being kept silent. After defying the Taliban — and suffering a brutal assassination attempt — she still refused to back down, and she continues to inspire the world and advocate for education for all children. 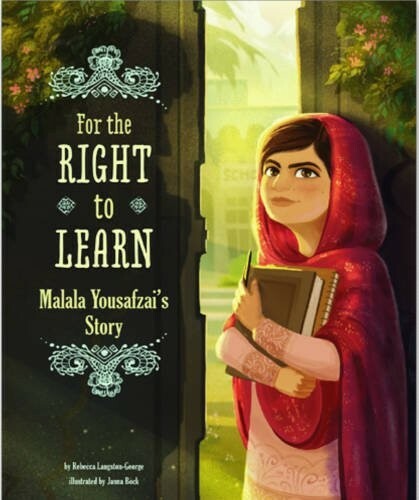 This powerful version of Malala's story for younger readers proves that one person really can change the world. You can find more resources about Malala — including her memoir and the recently released documentary film — in our Malala Yousafzai Collection. 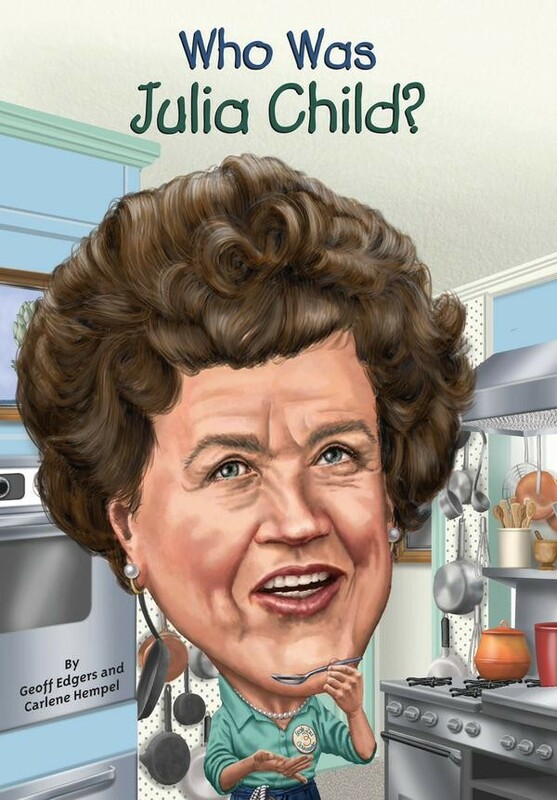 You may know Julia Child as a TV chef, but that's only part of her story! After working for the intelligence services during World War II, she and her husband traveled to France which is where she discovered her passion for French food and for cooking. But no one would have guessed that this unconventional woman would have become an international sensation, a best-seller author, and a TV star! This accessible biography of Child is sure to delight tweens. For more recent releases from this popular biography series, check out Who Was Harriet Beecher Stowe?, Who Was Beatrix Potter?, Who Was Sojourner Truth?, Who Was Joan of Arc?, and Who Is Malala Yousafzai? In her nearly 60 year career, Jane Goodall went from an oddity — a woman researching primates in the wild? — to one of the world's most recognizable scientists and conservationists. Along the way, she changed the way we think about our planet — and what it means to be human. 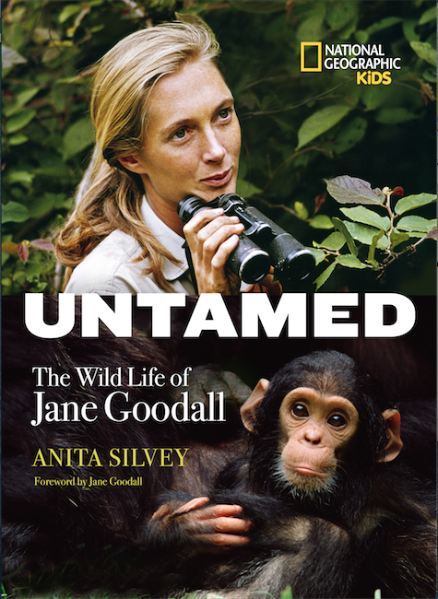 In this beautiful biography of Goodall, readers will learn about her amazing achievements, born of her remarkable ability to connect with the chimpanzees she sought to study. Primary sources and full-color photographs create a vivid and inspiring depiction of this trailblazing scientist. She was one of the most famous women in the world in her day: from a record-breaking trip around the world (that was thought to be impossible) to feigning insanity to report on the conditions within insane asylums, Nellie Bly was always audacious and daring! This book provides a comprehensive look at Bly and other social reform writers and reporters who transformed both journalism and attitudes. Twenty-one activities are included to get young readers interested in journalism, from keeping a reporter's notebook to writing letters to the editor. "I am sick and tired of being sick and tired", Hamer once famously proclaimed, and that sentiment drove her to be a champion of civil rights for over two decades. Her booming oratorical voice and her signature song "This Little Light of Mine" became a key part of the movement, including the Freedom Summer of 1964; her speech at the Democratic National Convention aired on national news despite interference from President Johnson and spurred people to action. Told in the first person, this book's lyrical text and collage illustrations depict the perseverance and courage of this heroic woman. When Mary Mallon started working for a wealthy family on vacation in Long Island, she had no idea that her life would change forever. The household was struck by an outbreak of typhoid, and George Soper, a sanitation expert, determined that Mary was a symptomless carrier and the cause of the disease. Mallon was arrested and quarantined against her will, and became known as the infamous Typhoid Mary, described as ignorant and obstinate for her refusal to stop working as a cook. 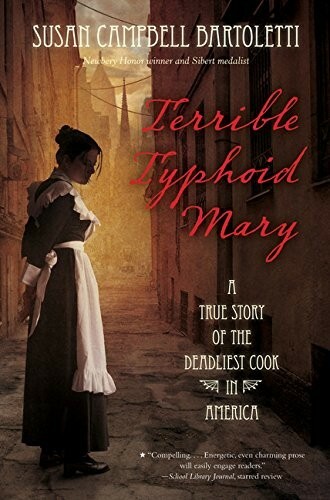 Susan Campbell Bartoletti, though, tells her story with a compassionate eye, exploring how Mary's human rights were violated and why she was treated so differently from the other known healthy typhoid carriers in the US. 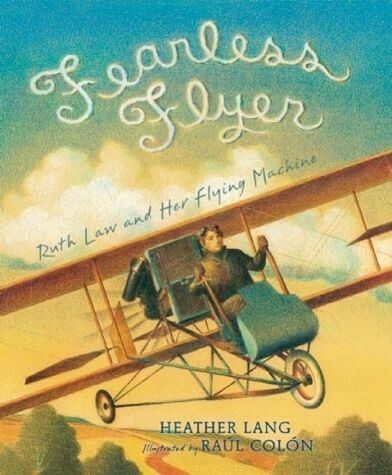 This intriguing and empathetic biography will generate plenty of discussion among middle grade readers. 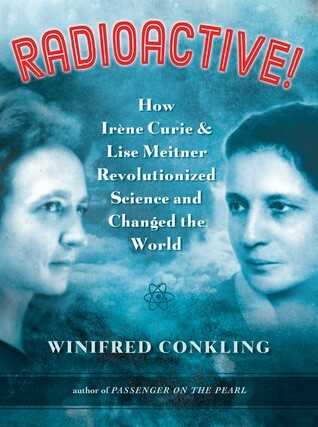 In 1934, Irene Curie developed artificial radioactivity with her husband, a discovery that won the couple the Nobel Prize — but Curie was not permitted entry into the French Academy of Sciences, who thereafter banned all women. Four years later, Lise Meitner used Curie's research to help her understand nuclear fission, a discovery that was critical to the nuclear age, but she was left unrecognized by the Nobel Committee, while her colleague Otto Hahn was given full credit for their joint research. In this narrative non-fiction book, Winifred Conkling tells the story of these two little-known but important female scientists with a gripping sense of adventure and suspense. 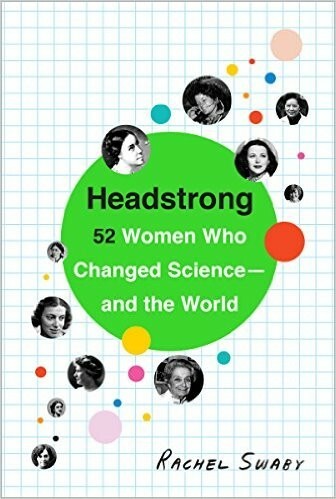 Conkling highlights the struggles they faced as women breaking ground in the male-dominated world of research, with sidebars that elaborate on the science of the book and shed new light on these remarkable figures from scientific history. 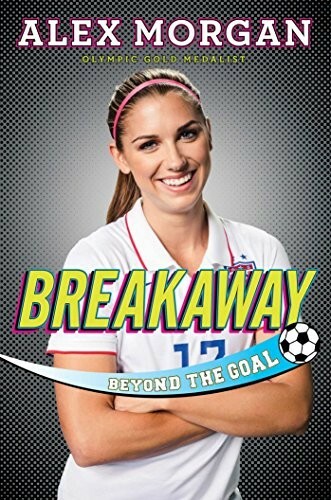 This uplifting memoir from soccer star Alex Morgan will inspire young readers to be their best — in sports or any other activity they choose to pursue! The memoir follows Morgan from childhood and her discovery of soccer in the American Youth Soccer Organization to her journey to the 2011 Women’s World Cup, gold in the 2012 Olympics, and her emergence as one of the U.S. Women’s National Soccer Team’s top scorers. A few last touches about the lead-up to the 2015 Women’s World Cup finish off this inspiring and encouraging book. The book includes eight pages of full-color photos and the book jacket doubles as a poster. 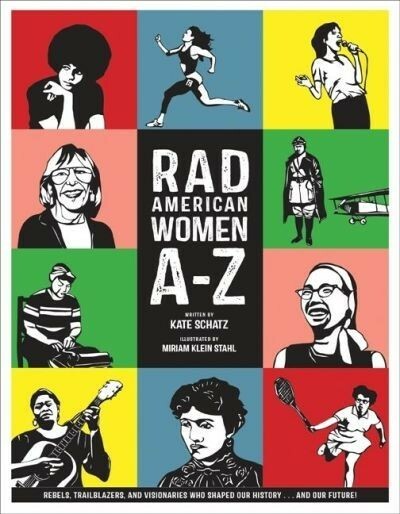 Rad American Women A-Z: Rebels, Trailblazers, and Visionaries Who Shaped Our History...And The Future! In this alphabet book for older readers, A is for Angela Davis, B is for Billie Jean King, and C is for Carol Burnett! 26 biographical profiles feature American women from across several centuries, of all races and professions. But the one thing they all share in common is how they defied assumptions, broke through boundaries, and changed the way people looked at the world. 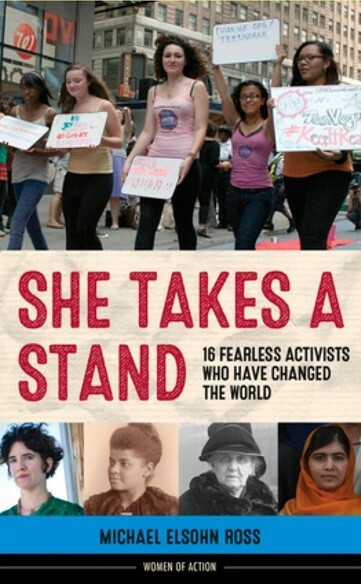 The introduction discusses what it takes to be a radical woman, and the book includes an afterword with 26 suggestions on how the girls of today can be the rad women of tomorrow. In the age of social media, it sometimes seems like change can be made with likes on a post or shares on a picture, but the truth is that it takes dedicated activists — contributing hours of time and sometimes facing extreme consequences — to really make a difference. In this book from the Women of Action series, 16 capsule biographies illuminate women activists past and present, from anti-lynching crusader Ida B. Wells to education advocate Malala Yousafzai. Each chapter examines how the woman in question worked to advance her cause, and provides an honest examination of both their missteps and their triumphs along the way. 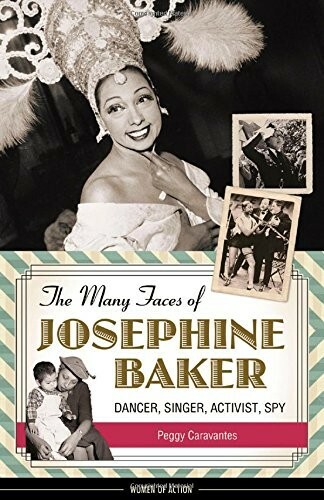 Josephine Baker became an icon of the Jazz Age with her comic and musical abilities, but there was much more to this complex woman than appearances indicated. 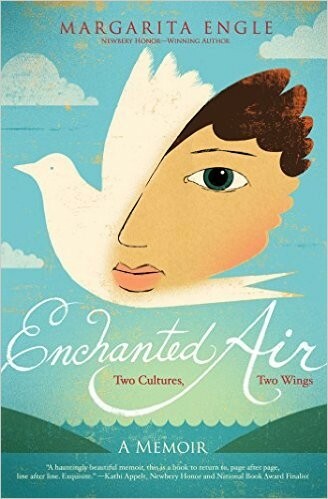 In this first in-depth biography for young adult readers, Peggy Caravantes follows Baker from a childhood in poverty, through her rise to fame, her work as an Allied spy during World War II, her outspoken support of the US Civil Rights Movement, and her adoption of 12 children to form her "rainbow tribe." Importantly, she doesn't shy away from showing the places where mysteries about Baker still lie: as she points out, Baker often rewrote her own history to suit her purposes. Teens will be intrigued by this flamboyant and unique figure from entertainment history. 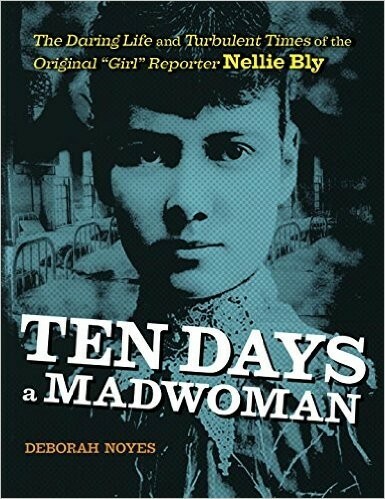 Nellie Bly knew she wanted to be a journalist — and not writing for the society pages. To make her dream a reality, she pulled an incredible stunt: by feigning insanity, she had herself committed to a notorious asylum on Blackwell's Island and wrote an expose of the appalling treatment directed at its patients. She went on to expose political corruption, abuses of human rights, and grinding poverty, and she even proved it was possible to travel around the world in 80 days — by doing it in 72! And even when she retired from journalism, she wasn't done: after her millionaire husband died, she took over running his company. 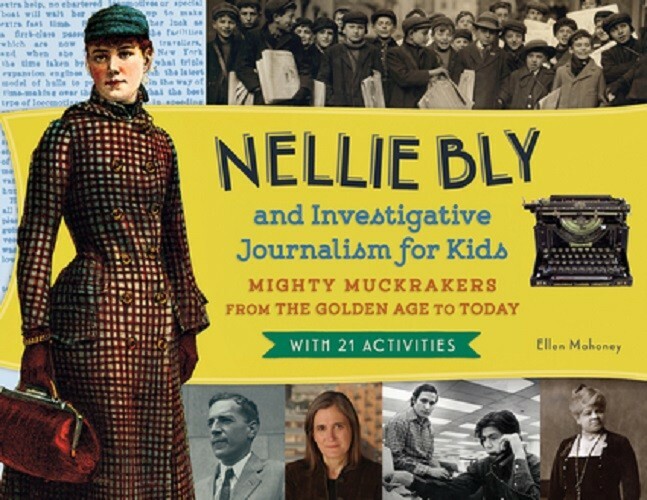 Nellie Bly's incredible true story is sure to fascinate young readers, and inspire them with their own ideas for living a bold life. Lynda Blackmon Lowery was the youngest marcher in the 1965 Selma march but that didn't protect her. Jailed eleven times before her 15th birthday, she refused to leave her place by Martin Luther King Jr.'s side and continued to protest in support of what was right. 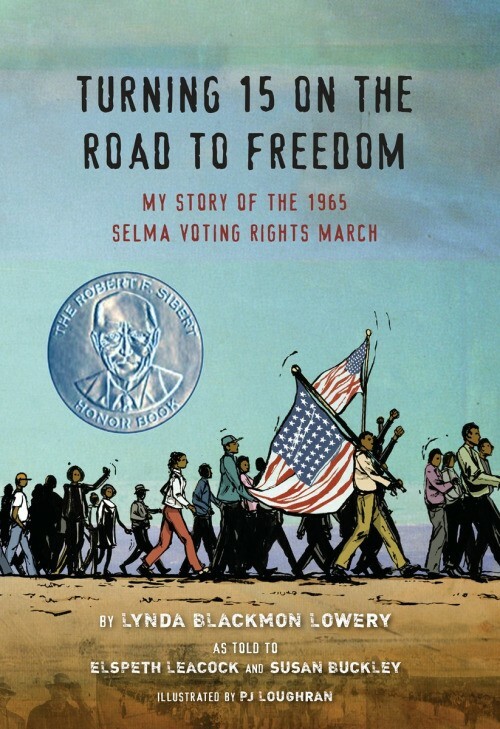 In this touching memoir, Lowery describes what it was like to risk so much at such a young age, explains why non-violent protest was so important to the Civil Rights movement, and how it felt to be a part of this moment of history. 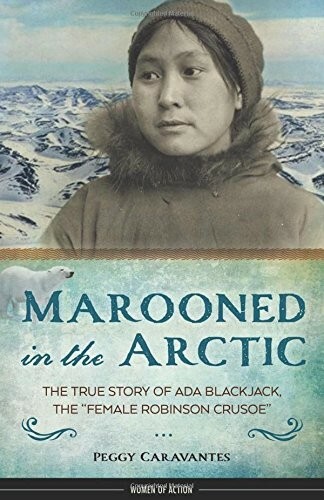 Marooned in the Arctic: The True Story of Ada Blackjack, the "Female Robinson Crusoe"
When a group of four men set out for the Arctic in 1921, their mission was top secret: they were planning to claim an island in northern Siberia for Britain. They hired Ada Blackjack as a cook and seamstress; the young woman, desperate for money to care for her sick child, had no idea the tribulations she would face. When conditions turned sour, three of the men set out for help, never to be seen again, while the fourth died of scurvy, leaving Ada alone. She survived for two years in the wilderness before being rescued and briefly becoming a worldwide celebrity, but she died in obscurity and poverty years later. Sometimes grim and sometimes inspiring, this incredible tale of survival is accompanied by interesting details, from historic photographs to information about the use of cats on ships. Every schoolchild knows about Paul Revere, but what about 16-year-old Sybil Ludington, who rode twice as far to help her father muster his scattered troops? And while we cheer the defiance of Patrick Henry's "Give me liberty, or give me death! ", few know Martha Bratton's more daring declaration "It was I who did it!" to British soldiers after she blew up a gunpowder stash to keep it out of their hands. 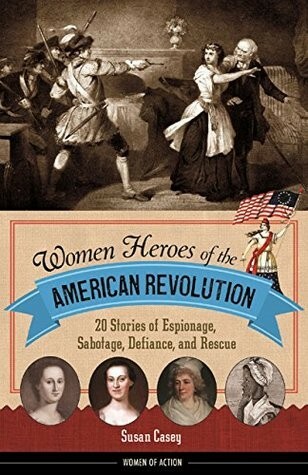 This lively collection of profiles highlights the little-known but remarkable women of the American Revolution, providing a fresh new perspective on this dynamic period in history. This inspiring recent release is a gift for science lovers everywhere, especially for those eager to learn more about the oft-neglected stories of women's contributions to science. Swaby’s 52 engaging capsule biographies span centuries of courageous thinkers and illustrate how each one’s ideas developed, from their first moment of scientific engagement through the research and discovery for which they’re best known. The women featured, whose specializations range from biology to physics to engineering, include some well-known figures such as Sally Ride and Ada Lovelace but most of the women highlighted will be new to the majority of readers. While each individual's biography runs for only a few pages, Swaby has done an impressive job of conveying the essence of each scientist's life and work into the profiles. Her light tone makes for a pleasurable and accessible read, and many readers will also undoubtedly be inspired to learn more about the figures they find most intriguing. Margarita Engle is the first Latina woman to have received a Newbery Honor, but before she was a celebrated author, she was a girl caught between two worlds: Los Angeles, where she lived most of the time, and Cuba, her mother's home and her summer refuge. Then the revolution in Cuba makes Margarita worry for her far-off family, and the Bay of Pigs conflict raises fears that the two countries she loves will go to war -- and that her beloved island will forever be off-limits. This deeply personal memoir in verse is a biography, a history lesson, and a coming-of-age story in one. For more biographies of inspiring women, visit our Biography Collection. For books about history, visit our US History and World History collections. For more newly released Mighty Girl books — both fiction and non-fiction — check out our 2015 Mighty Girl Books: A Year In Review.